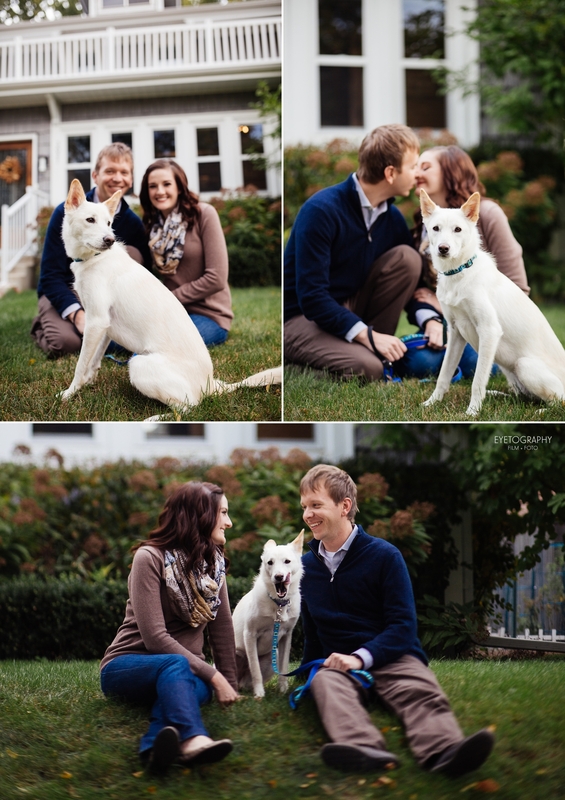 Jaimie and Dan recently moved into their first house in uptown with their sweet dog, Miko. They not only rescued Miko from Asia, but, with the patience of saints, they work with her to overcome anxiety and trust issues left from before she was rescued. I’ve only once met another dog, a little corgi, with such wariness of strangers. 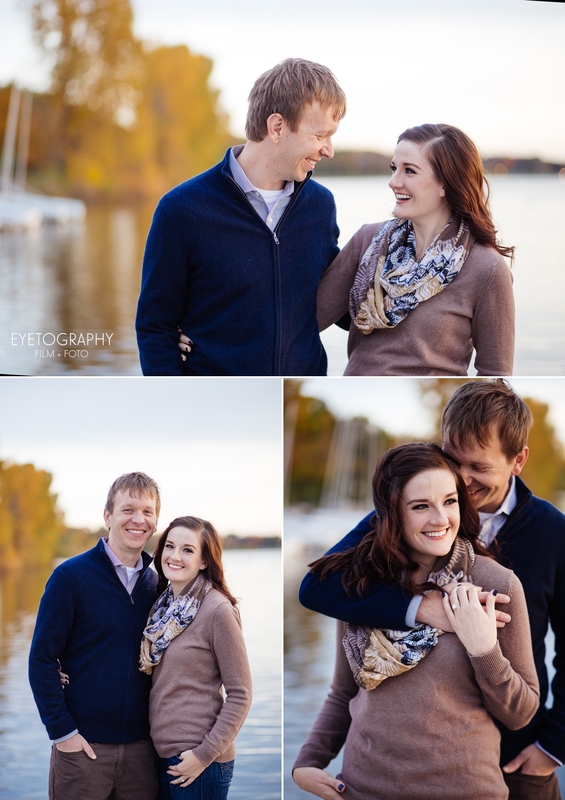 Building up trust is a long hard road; I’m so glad that she has Jaimie and Dan! After we left Miko, we all wandered around uptown and caught a beautiful sunset. Then we headed to Calhoun square and the theater. Jaimie and Dan pointed us toward a particularly enchanting, well, alleyway. They snuggled up under the lights, and it looks prettier than it sounds. 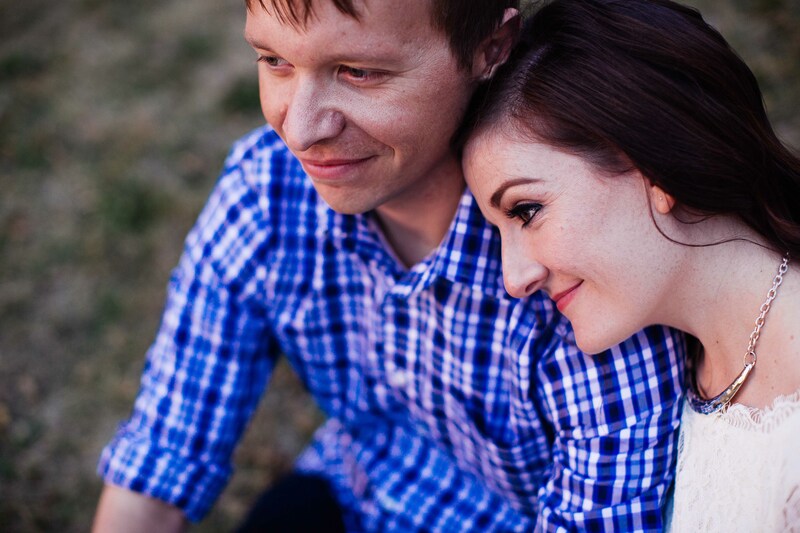 Jaimie and Dan, we’re so excited for your wedding. Thank you for being so fantastic!